If you’ve decided to add hardwood floors to your home, or if you’re simply just refinishing your existing floor, you have a handful of decisions to make. In many ways, your flooring is an indispensable element of décor and the type or color you choose really depends on personal preference. But it`s the final finish – the protective coating – that determines how long the “look” will last. It also determines how long the floor will endure, and what kind of maintenance will be required. Swedish finish is an alcohol-based varnish developed in the early 1950s in Scandinavia. In the United States, the finish has its biggest following here in the Pacific Northwest. And with our customers, Swedish finish is used 4 to 1 over any other finish. It’s our opinion, that for good quality work and when the home owner is concerned about final appearance, the Swedish finish is the best choice. It has a fuller and richer amber appearance. Swedish is definitely the most durable and long-lasting option for finishing hardwood floors. And when it comes to cleaning, a light mopping is all that’s required to maintain the warmth and shine. In fact, it’s the most practical finish to use on hardwoods in kitchens. The downside of Swedish finish, however, is that it contains volatile solvents which are extremely flammable and have a very unpleasant odor. We require that homeowners vacate their homes when Swedish finish is applied and it can take up to 3 weeks before rugs can be put back in place. Some manufacturers say it takes up to 3 or 4 months for Swedish finish to cure completely. Often, customers ask us about finishing options other than the traditional Swedish finish. There are a growing number of waterborne (water based) finishes available on the market including some like Glitsa Max, Bona Traffic, or Basic Coatings Streetshoe. These have been widely used for over a decade. Water-based finishes, when applied correctly, definitely offer results to match those of Swedish. The biggest benefit is the absence of the strong, irritating odor which makes it possible for a homeowner to stay in their home instead of sleeping somewhere else for the night. 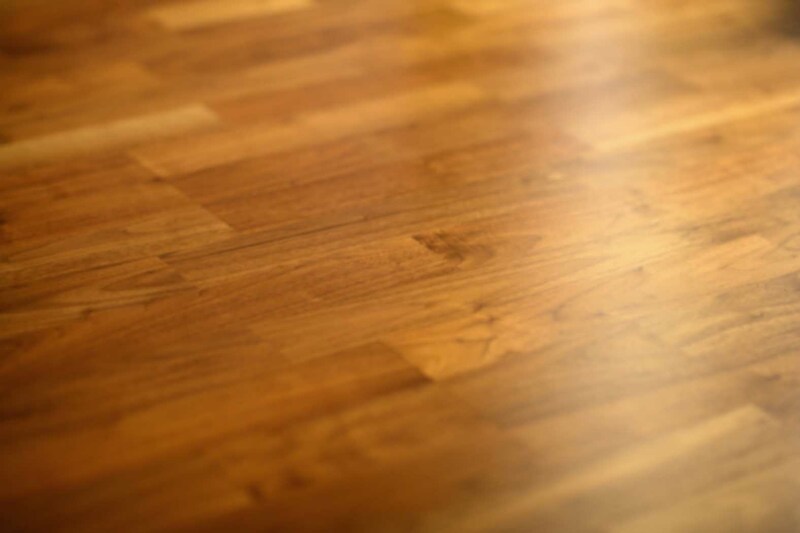 The main drawback of a water based finish is that it can and often will raise the grain of wood, thereby causing the flooring to be a little rougher. To solve that problem, we’ve found that at least three coats of water based finish is necessary for filling the grain and protecting the hardwood. It also does have a slightly shorter life and a paler more natural wood color.